The bar is open! 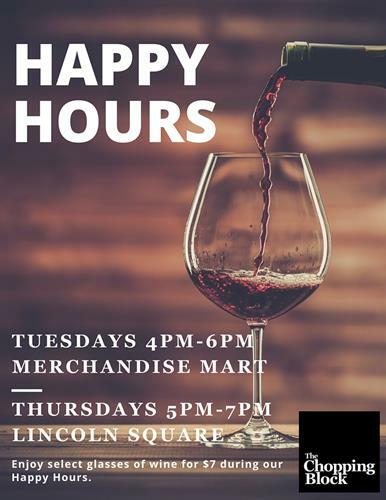 Join us for Happy Hour every Thursday from 5pm-7pm at The Chopping Block Lincoln Square. We'll feature different select wines each week for $7/glass.